Everyone wants a great deal when they sell their vehicle to a salvage yard in Montcalm, MI, but don’t let eagerness cloud your judgment. There are plenty of junk yard scammers out there waiting to take advantage of you. Don’t let these people play off your ignorance about how the system works. Instead, educate yourself about the latest scams, so you don’t get taken for a ride. Are Junkyard Scams Really that Bad? All it takes is for 1 or 2 bad grapes to sour the entire bag, and it’s no different in the salvage industry. Junk yards have a reputation for unscrupulous behavior, but for the most part your local salvage scrap yard in Montcalm, MI, is an honest, legitimate business. That being said, you still need to know how to spot the fakes and the companies only interested in taking your goods for their profit. Here are some ways that scammers could try to take advantage of you. When you sell your vehicle for scrap to a salvage company in Montcalm, MI, they often value your vehicle by weighing it. Others will pay you based simply on the vehicle itself and the condition of a few items on the car or truck. Either way, you’re getting paid primarily for the scrap metal on the vehicle. Scrap metal is valued according to tonnage, but that doesn’t mean that all tonnage is the same. A ton is not just a ton. Net ton is less than long or metric ton. Scammers usually don’t tell you how they’re valuing your scrap and pay out according to the net ton rate, which means you lose money. Make sure you know beforehand which system – vehicle or weight – is being used prior to arriving at any yard. A reputable salvage junk yard in Montcalm, MI, tells you upfront if towing charges are included in the quoted price. Let’s face it, many salvaged vehicles don’t offer and require towing to the junk yard. Great junk yards either include this in the quote or they don’t charge extra. Crooked junk yards tack the charge on to the final bill that often surprises vehicle owners. 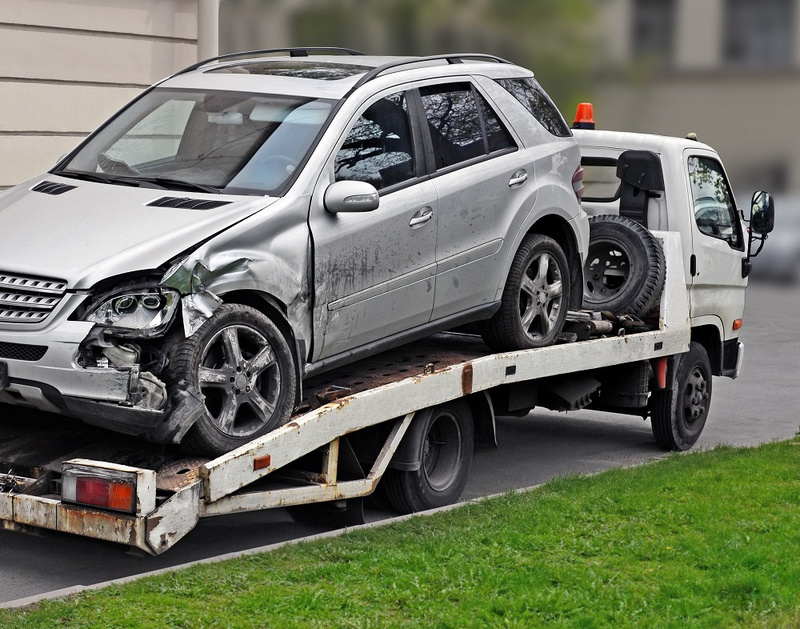 By the time the vehicle has already been towed to the junk yard, you have no choice but to pay the extra charge. Ask about this service upfront. When you sell a vehicle to a salvage scrap yard in Montcalm, MI, you want to be paid in the way your state allows, preferably in cash or check – not coupons or other non-cash incentives. If you’re dealing with a junk yard that tries to sweeten the deal by offering discount vouchers or coupons in lieu of a complete actual payout, be very cautious. Very rarely will these so-called discounts or deals equal the amount you’re losing in terms of cash value. Take these offers with a grain of salt and walk away. Go find a yard that wants to do legitimate business. Also, never accept installment payments. Legitimate junk yards always pay you for your load or vehicle in full. Salvage yards that put pressure on you to sell now should be kept away from. 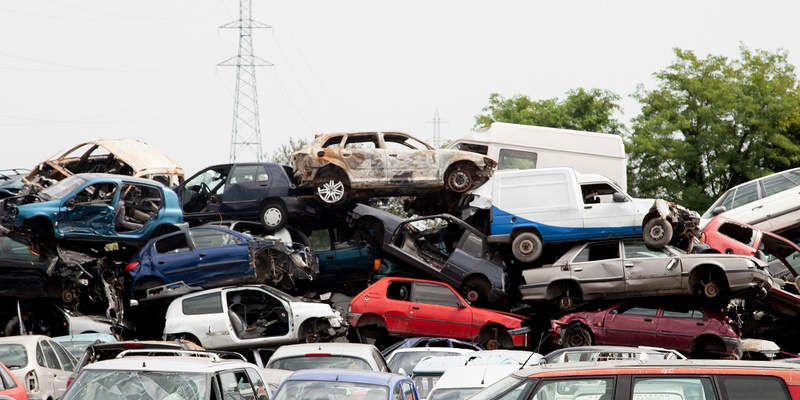 A decent junk yard knows that sellers need time to consider the offer. They also welcome questions and give honest answers that don’t sound like they’re beating around the bush. If you’re being pressured to make a decision on the spot, don’t attribute the pressure to simple poor customer service. See it for what it is – a con man trying to get you to sell before you realize what you’re losing. If you’re looking for a salvage yard in the Montcalm area with a great reputation, contact Fair Salvage Company today.